I've seen other people find their stuff online before, but this was my first. I'm curious about some of the stats on a meme... like this one has 21,000 views, is that a good indication that it's out on the web somewhere? When I saw that number earlier today, it surprised me. I was on this site, at work, during the holidays. I showed this to a coworker who thought it was great. Oh, yeah. I think it's funny too. I know the movie has quite a following. 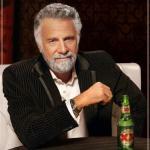 Did you create one on a different site? 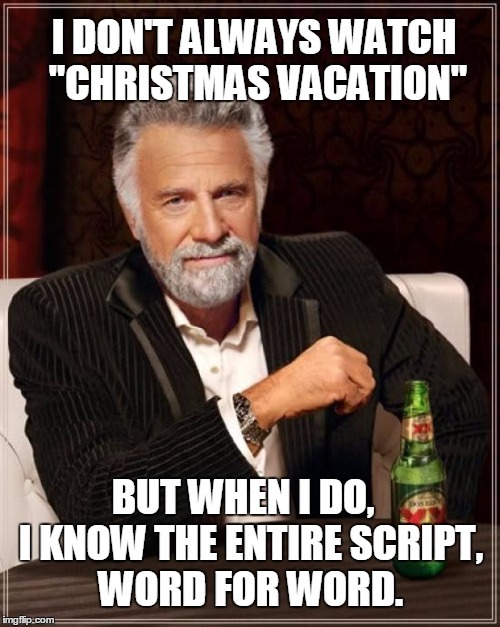 I DON'T ALWAYS WATCH "CHRISTMAS VACATION" BUT WHEN I DO, I KNOW THE ENTIRE SCRIPT, WORD FOR WORD.